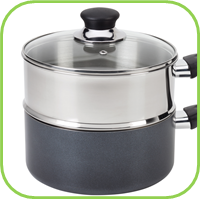 • 2 pots to make a Double Boiler. • A selection of fresh herbs from the garden. • A strainer and cloth (Muslin; Easy Wipes etc). • Bring the water in the big pot to a boil. • Place the smaller pot inside the bigger pot with the handles resting on the side of the bigger pot, and the bottom touching the boiling water. 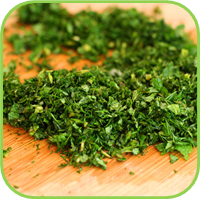 • Cut the herbs into small pieces (about ½ cm) and put in the small pot. • Add enough oil to cover all the herbs. • Let it simmer, with the lid on, for at least 1 hour or longer if possible. Don’t allow the oil to boil. 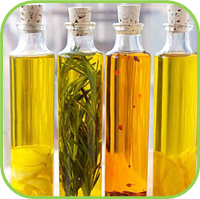 • Pour the Oil through a strainer and cloth, squeezing as much oil out as possible. • Pour into a glass bottle. 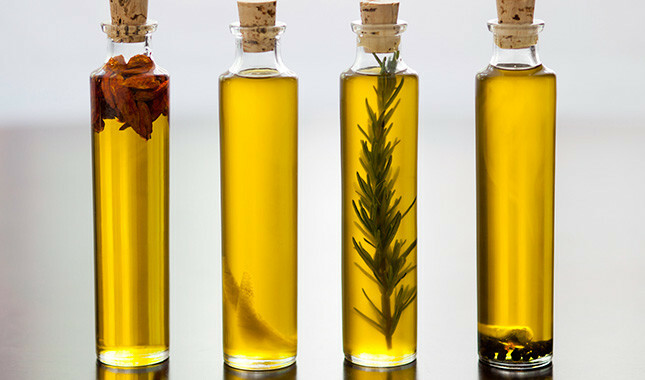 Posted in Culinary and tagged culinary, herbs, oil, preperation.